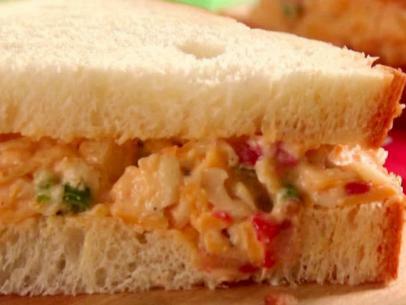 My interpretation of the pimento cheese recipe served annually for over 40 years at the Masters Gold Tournament in Augusta, Georgia. I believe you will enjoy. In the bowl of a food processor, combine garlic, dill pickle, Tabasco, Worcestershire, and mayonnaise. Pulse until well combined and transfer mixture to a medium bowl. Add both cheeses, pimentos, salt and pepper. Mix by hand until all ingredients are well combined. If necessary add a small amount of pimento juice to make mixture creamier. Refrigerate for at least 4 hours before serving. Spread will keep for up to a week in the refrigerator.